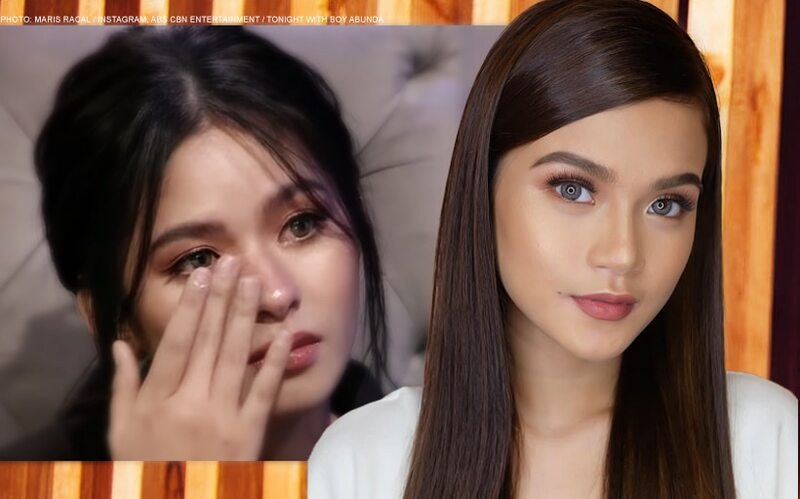 Loisa Andalio showed admirable honesty, speaking about the current state of her friendship with Maris Racal in a no holds barred interview on "Tonight With Boy Abunda" yesterday, October 8. First, the young actress refuted Maris' claims that a "misunderstanding" marked the deterioration of their relationship, and implied that they simply drifted apart. Loisa explained, "'Pag nagkikita kami, nagbabatian naman kami. Hindi na [nanumbalik 'yung closeness] kasi tama naman siya, iba naman 'yung nakakasama niya everyday and ako naman din, iba rin. Kaya naiintindihan ko naman po na may lalamang talaga." She also fearlessly tackled Maris' newfound closeness with Sue Ramirez and admitted that while she feels "slightly" jealous", she respects their friendship. She said, "Kung best friend niya si Sue, nirerespeto ko naman po 'yun kasi may karapatan naman tayong makipagkaibigan sa iba." However, when asked whether she still misses her former BFF, Loisa's eyes filled with tears. Unable to hold back her emotions, and choking on her words, she answered, "Opo naman, kasi iba pa rin 'yung dati kasi sa 'PBB'. Nag-start kami sa 'PBB' and sabay kami nangarap... and kasi sa totoo lang, wala naman po talaga akong kaibigan masyado sa showbiz." Loisa and Maris got their start as housemates of "Pinoy Big Brother: All In", a season which also gave Joshua Garcia his big break. Loisa topbills the upcoming Cinema One Originals 2018 supernatural horror film "Hospicio". Come December, she will also appear in the Vice Ganda-led "Fantastica: The Princesses, The Prince, and The Perya", which will be ABS-CBN Films, Star Cinema's official entry to the 2018 Metro Manila Film Festival. Read related articles here: Loisa, KAPIT NA KAPIT kay Ronnie! KathNiel, may special participation sa “Fantastica”? !